Quick & Effective Response, threat removing and attacker neutralization. Specialties have been developed to provide a real answer, fast and effectively to people of all target group. 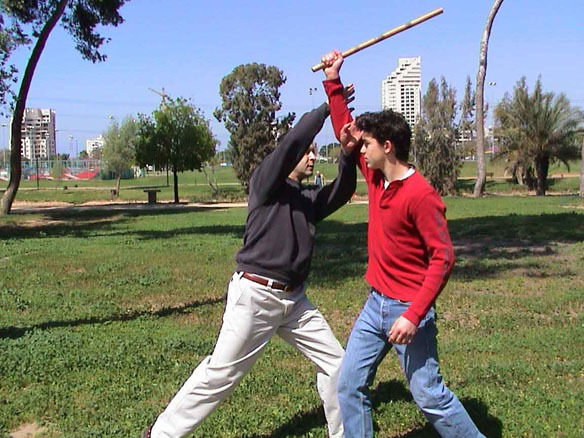 Useful self-defence and preparation of meetings and dealing face to face combat is a specialty unto itself. Needs, goals, situations and the work environment, structure psychology, emotional state, mentally and personal abilities, these vary according to diverse audiences: youth, men, women and dedicated professionals, security guard products, personal security guards, workers and workers in hostile work environment, diverse working groups, public car drivers, Public sector (clerks, inspectors, social workers, etc. ), various types of private sector, for example Enrichment courses to employees, companies and organizations and the list is long. Adding unique individual parameters for each individual: different physiology, different threshold aggression, coordination, assertiveness, self-confidence, personal and residential work environment etc. 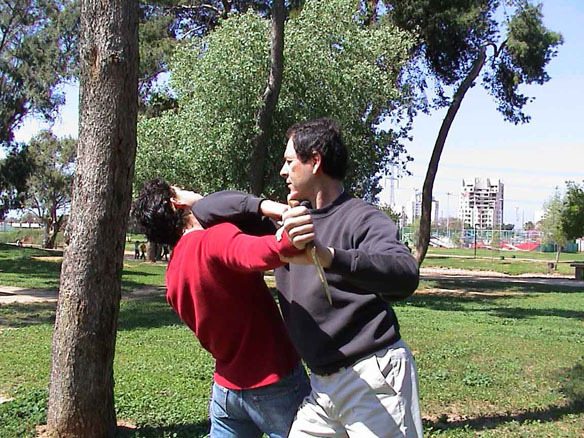 Effective knowledge and skills in self-defense requires attention to both the environment characteristic of a particular audience and reference to individual capabilities of each individual. Acquisition of technical knowledge is not sufficient and need training and acquiring experience to bring the theoretical capacity to practice. Sense of self-confidence should come from a real ability to respond to a real situation! 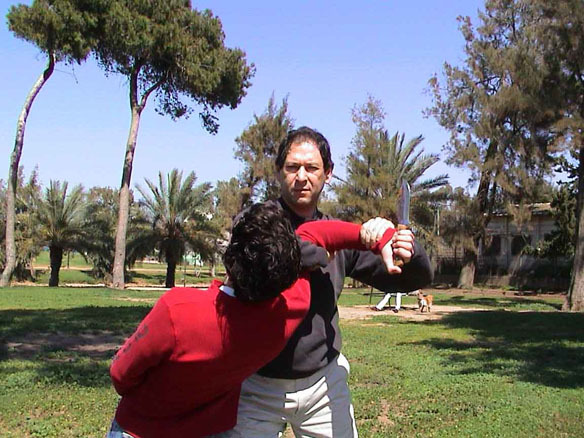 Itzik C. is experienced from mid 70's in martial arts and specific expertise in civilian self-defence and military useful Close-Combat. Short self-defence course without a thorough knowledge of martial arts training on the various components. Long-term course which adds depth knowledge. The ability to respond quickly and effectively to situations that may develop into dangerous ones Self-defence begins in behavioral patterns and continues with awareness to different scenarios, of which may lead to violent conflict. We can prevent most cases ending in disaster. Dangerous situation progression awareness (prevention situation in the first place or ready to prevent surprise. Mental side - aggressive scenario responsiveness (pressure, violence). Technical side - the use of effective techniques and accessible tools, emphasis on efficiency. We will apply all the necessary in order remove threat effectively and neutralize attacker if needed. In general we will strive to calm and resolve the issue smoothly. At best, we prevented a needless risk - but once we are attacked physically and there is a real danger to our lives, we will use the tools we have acquired in order act quickly and efficiently. Welcome smile in most cases solves the problem. Verbal persuasion OR Concession (e.g. give up to driver even if I'm right). Avoidance of potential problematic scenario (underground parking or returning home at late hour in a dark night). Preparation to potential problematic scenario. 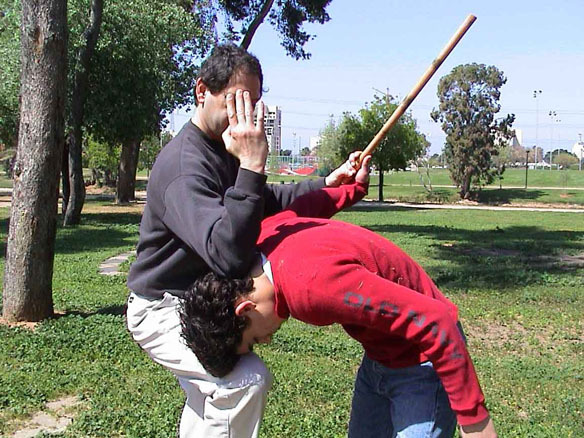 Techniques to neutralize an attacker - the technique must be simple, efficient and suitable for the defender capability. Awareness and ability to prevent conflict are the cornerstones of self-defence. 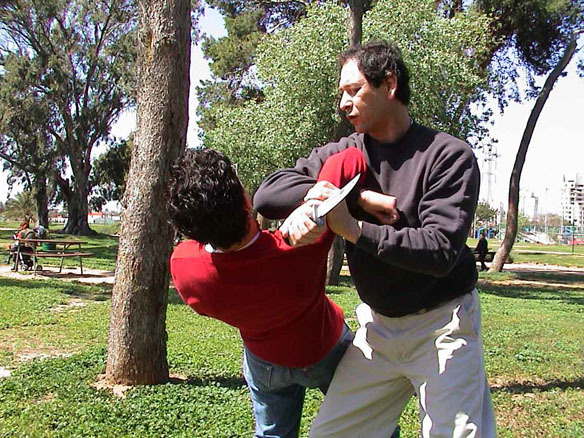 If the defender is already in violent situation he\she must be prepared to respond effectively. The purpose of the writer is to shed some light on the subject as a whole and there are many elements that were not mentioned such as vital points, attackers and defender characteristic and behavioral patterns and more. 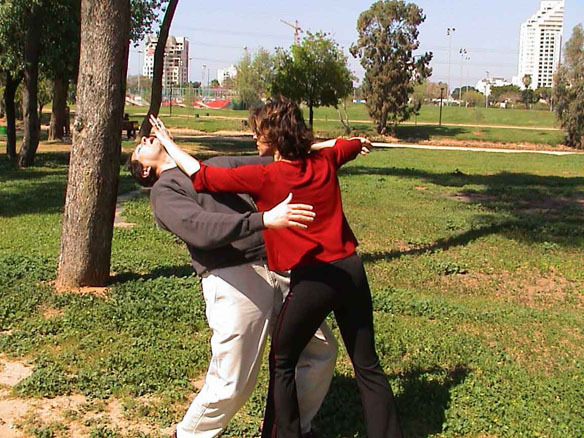 Each and evert Self-defence course is developed specifically for the unique needs and goals of the practitioner, adjusted for any woman or man who built. The course is built succinctly on the basis of instinctive movements, adequate signal simple physical ability. 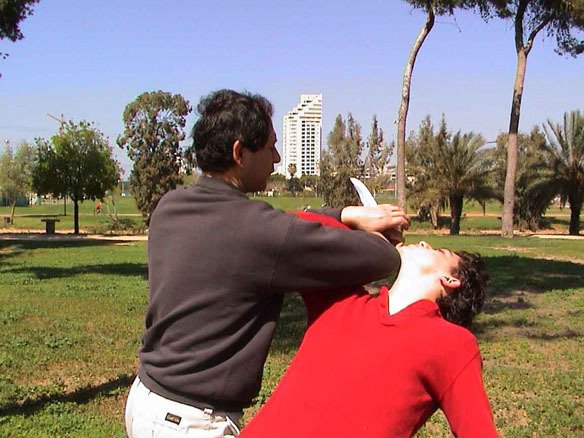 The course contains also environmental and mental parameters, which are very important and even curtail for achieving the aim of practical self-defence. How do we select the appropriate framework for us? You are invited to write or call us to get more details, consult and frame adjusting. The goal is to bring the trainee to practical ability in a given time. Needs, capabilities and environment vary from person to person and from one organization to another hence we take care of matching the course structure, activity type and nature, length as well as unique conditions to the individual or group. One of the important points of teaching self-defence is the boundary between the sterile conditions and road training. 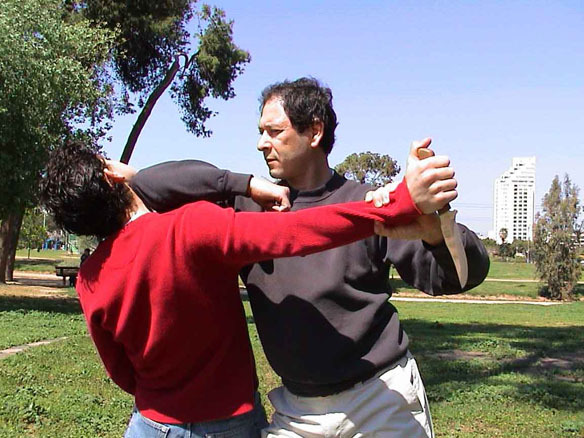 The ability to equip the trainee with useful technique, knowledge, mental readiness and daily tools to meet real street violent aggressive situations is a must. Private Course - limited number of sessions upon demand. Group courses for short term – single\couple of sessions (Usually for companies and organizations). Group courses for medium term - from three meetings on as needed. Group activity for long term - weekly\monthly activity. There is an option for concentrated course following by long term activity. Meetings are held periodically to refresh knowledge for those interested. Why should we continue routine activity or make periodic refresher sessions? To remember the material practiced and keeping it intuitive, to maintain and to improve the practical ability for the long run it is recommended to keep on periodic activity or refresher sessions.